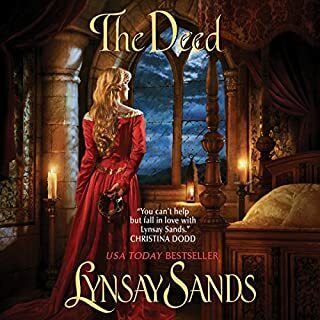 A brutal attack on Emily Stanton's family has left her for dead...until she is found in the woods by a handsome stranger with a thick brogue who vows to protect her. There's only one problem: As a woman with a noble English background, she has no business keeping company with such a man. For Scotsman Iain MacEnroy, Emily's high-tone accent is a bitter reminder of the oppressive regime he left behind. The last thing he needs is to be burdened by the needs of a beautiful, blue-eyed Englishwoman. But taking care of elegant, educated Emily begins to transform Iain in ways he never imagined. 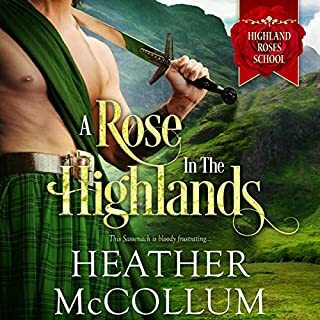 Could it be that the deep divisions from the old world no longer apply in the new - and that Iain and Emily can share a passion as lush and wild as the Scottish highlands themselves? This is a new series for Hannah Howell, but as always I really enjoyed it. This series involves 7 MacEnroy brothers caught up in the Scottish clearences and leaving Scotland for America.. From what I gathered from vague language they are distant relations of Fiona MacEnroy, but she is never mentioned. At the end of the book the American Civil War has just started. The narration of this book was quite excellent. She got every accent just right, and I could tell who was from where just by her accent of their voice. All and all a fun and enjoyable listen (read). I enjoyed all the different voices narrated by Justine Eyre. She's very good. This audiobook was set in Arkansas' Ozarks in the Old country. I thought that was interesting because that's where I live. I've read a lot of Hannah Howell's books, mainly the Murray Clan. There was some repeating which I'd thought at first I had some how rewound the audiobook, ha. And some predictable going on but still worth a credit. And some humour too. 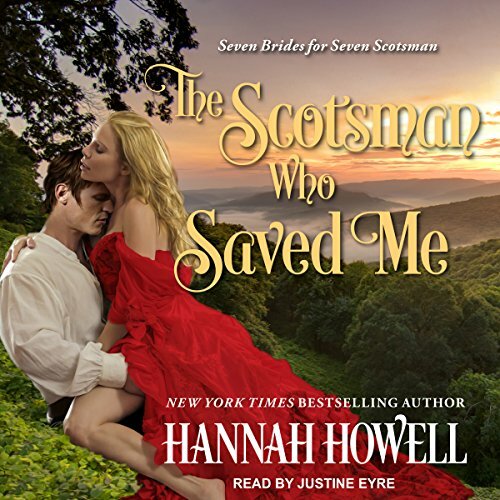 I usually love Hannah Howell’s audiobooks, but this one was just difficult to get through. I probably could have gotten through the storyline (and might have even enjoyed it) if it weren’t for the voice actress. She is horrible to listen to. I will be avoiding any audiobook that she reads for. This story lacked the depth and that feel good quality of most of Hannah Howell's books. The verbiage was stiff. Narrator has great child voice and English accent but the narration part was whiney. Storyline was week. Who has conversations during a gun battle? Surprised they didn't have tea while the house was under siege. Not a fan. lacking any creativity or imagination. Narrator has an irritating voice at times Save your credits and choose something else. I enjoy all of Hannah’s books especially the highland series. I think this one may be on of my favorites.